I have a love-and-hate relationship with winter. I firmly believe that snow-covered landscapes are nothing less than absolutely beautiful, and a bright red sky during a blizzard at night is completely mesmerizing. I’ll rarely refuse an opportunity to hit the slopes, build a snow fort (yes, I’m an adult), or take part in a potentially savage snowball fight. I also wince at the thought of spending hours in freezing temperatures (I’m talking -15° and colder). I don’t always look forward to shovelling mountains of snow or feeling like the abominable snowman in the pile of layers my non-heat-retaining body demands I wear. If there’s one place in the world that makes ALL of my insecurities about winter slip away, it’s Switzerland. Hands down. 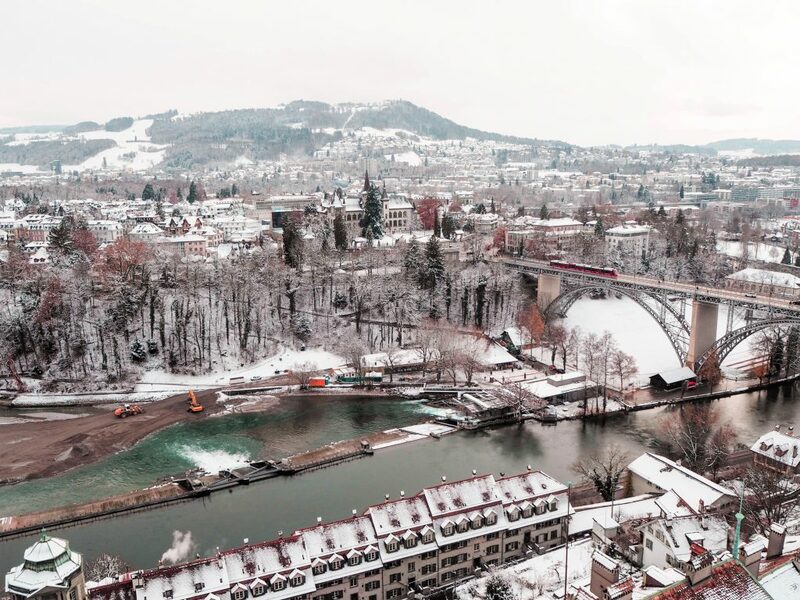 After visiting Zurich, Basel, Bern, Interlaken, Grindelwald, and more, I won’t hesitate to say that Switzerland is the ultimate destination for the perfect winter trip. 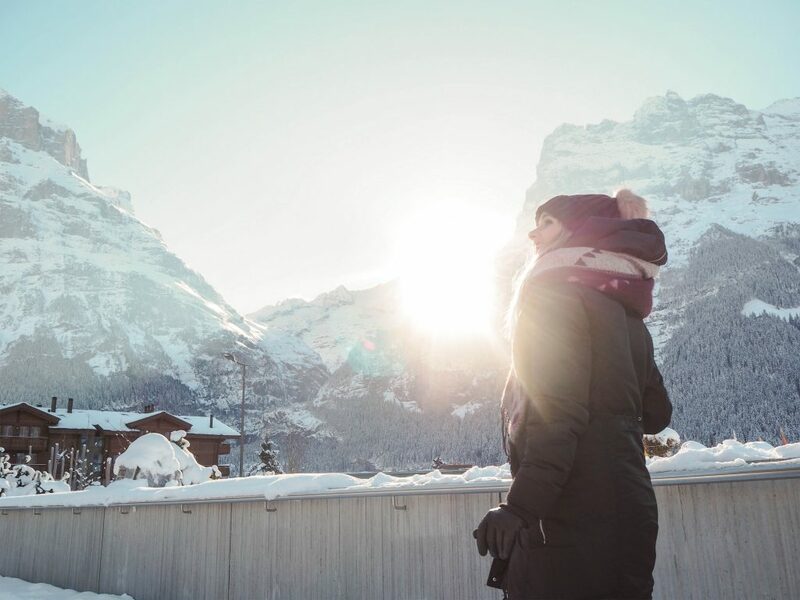 Scroll below to check out 10 reasons why you should travel to Switzerland during the winter! 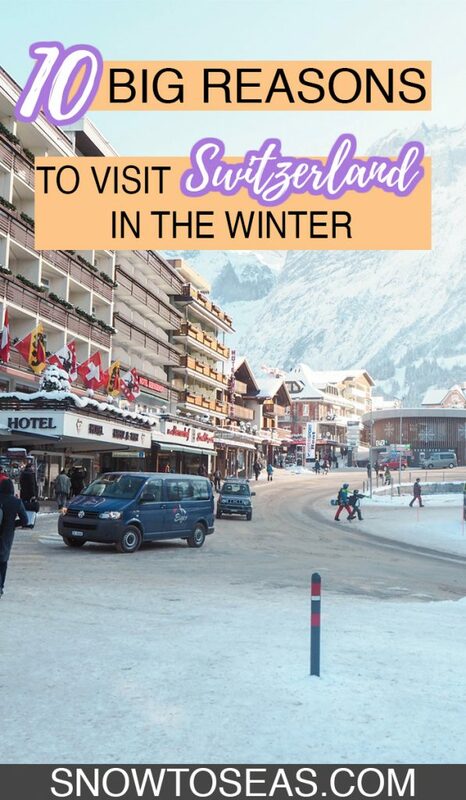 You’ll also discover a list of gastronomically epic, adrenaline-filled, budget-friendly, and breathtaking things to do in Switzerland when it’s cold, cold, cold! If you’ve ever checked out some of my other winter-themed posts, you might already know that I think Christmas is the MOST wonderful time of the year. (If you haven’t and feel intrigued, you can take a look at them here). European Christmas Markets are a huge contributing factor to my obsession with the holidays. I just can’t get over their festive, cozy, and glittering atmospheres (not to mention the over-abundant availability of tasty treats and spiked mulled drinks). From late November to Christmas Day, tons of gorgeous and elaborate Christmas Markets pop up in practically every Swiss city and town. Switzerland’s snow-covered landscapes and mountain-filled horizons make it the perfect place for these annual events. 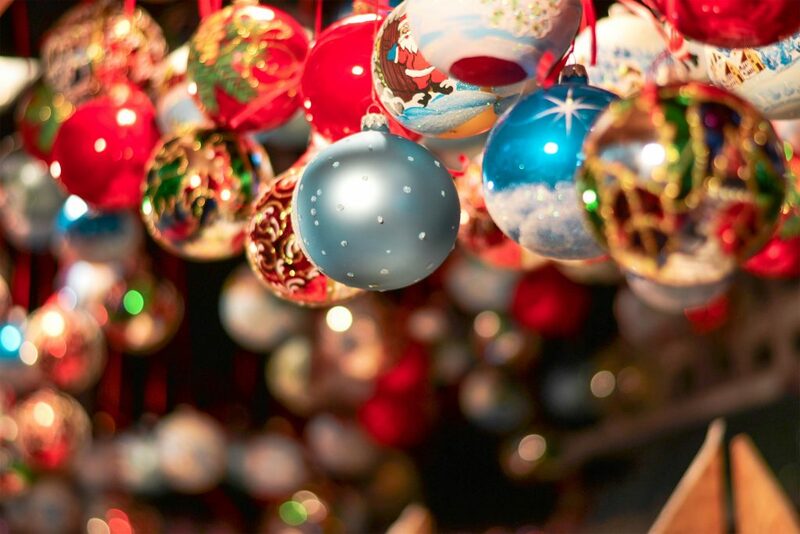 Ornaments on display at Zurich’s Old Town Christmas Market. Zurich’s Old Town Market has all I need. 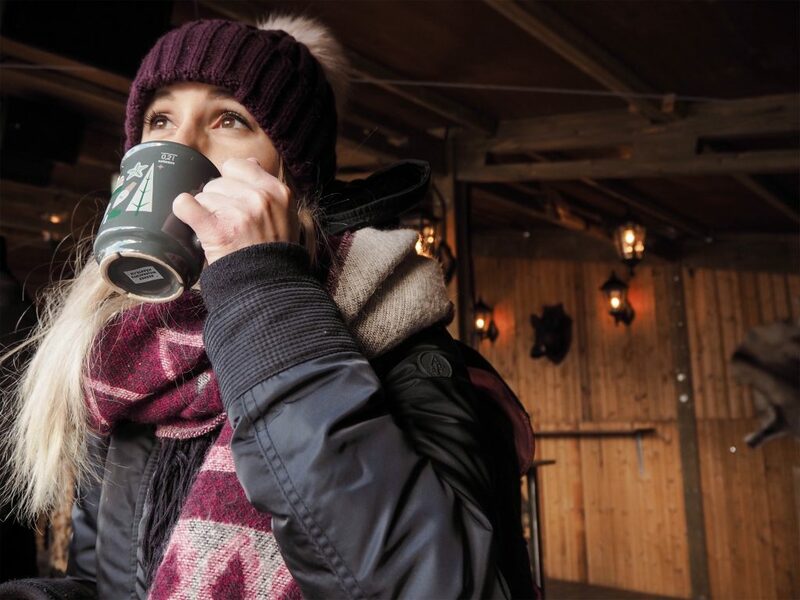 Sipping on Glühwein in Bern. 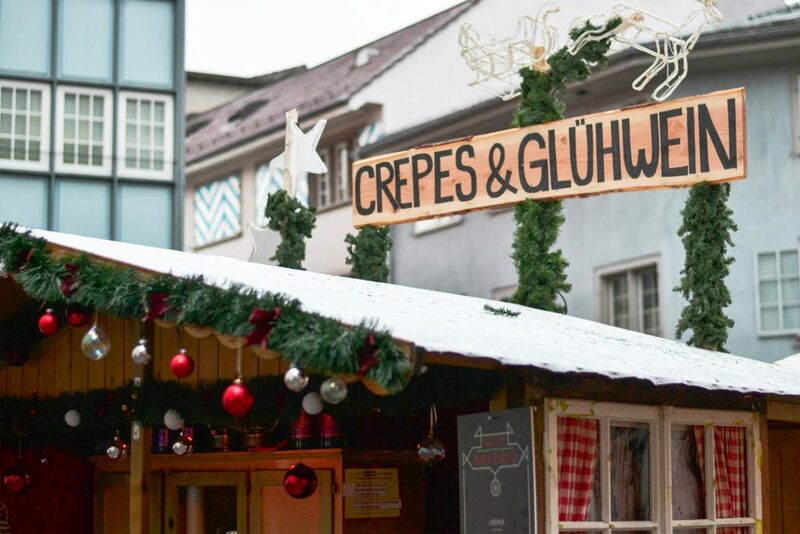 Snapped on Christmas Market Day in Spiez, Switzerland. The Market winded down the main city street right up to Spiez Castle by the water. NOTE: Most major cities will have markets running Monday to Sunday from late November through all of December. Smaller towns may only set up their markets for a weekend or just one day. Make sure to double check market dates before you go! Compared to a handful of other countries across Europe, Switzerland is a popular vacation destination year round. However, outside of Advent, most people flock to the Alps in the winter leaving city sites and attractions with ample room for exploration. Even if you do plan on hitting up and speeding down some mountainsides, don’t fret. Switzerland has got an over abundance of Alpine hotspots. It’s totally possible to find one that’s the right fit for you – including one with fewer crowds. 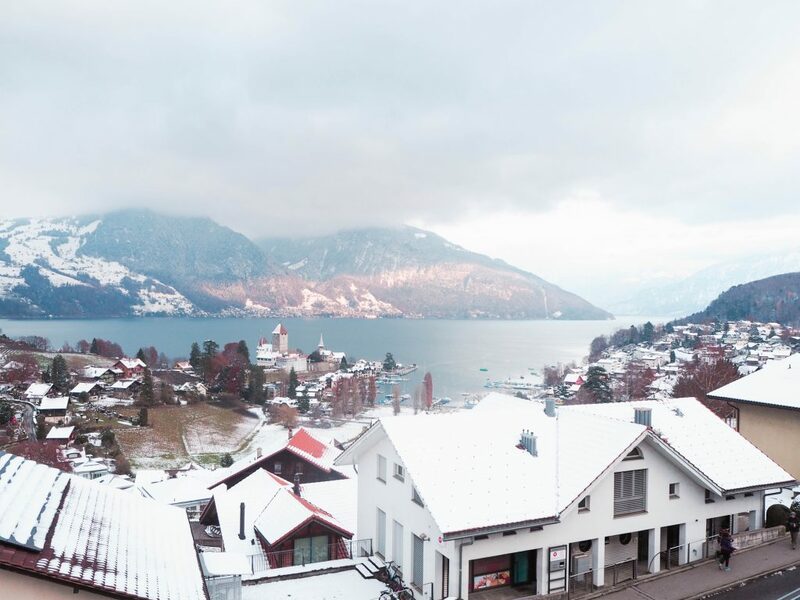 An empty waterfront in Spiez, Switzerland. Sure, it may have been a bit chilly, but it was still absolutely gorgeous and worth the frosty stroll. When I think of Switzerland, I immediately picture the Alps. And they’re nothing short of magnificent, glorious, and Narnia-level gorgeous when they’re covered in a hefty layer of snow. When in Switzerland, I spent one December morning up in Grindelwald and another afternoon in Uetliberg. I was completely blown away. Bern, Switzerland. Overlooking the Aare River. Looking up at snow-covered peaks in downtown Interlaken, Switzerland. From skiing, snowboarding, and skating to cruising down lengthy mountain sides on a toboggan, I’d go as far to say that basically anything is possible in Switzerland. While I didn’t have the chance take part in mountain sledding during my previous trips to Switzerland, (budget airline baggage policies and snow gear don’t mix), I’m not lying when I say that tobogganing is one of the key driving forces for booking another winter trip to Switzerland. 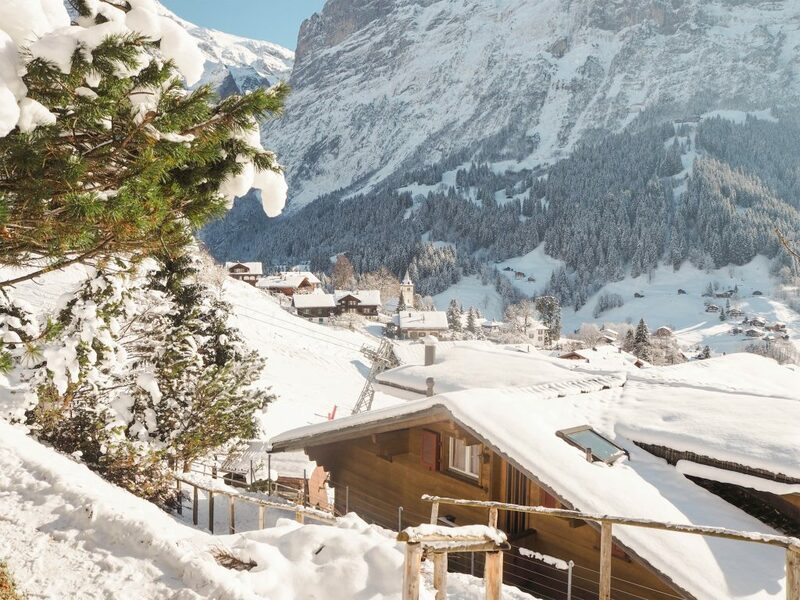 You can ski, snowboard, and toboggan from gorgeous Grindelwald, Switzerland (pictured above). I always knew that it’s possible (and recommended) to go skydiving, paragliding, kayaking, hiking, and more in Switzerland. The landscapes are just so mind-boggling beautiful. But I always thought that most of these activities were limited to the summer months. 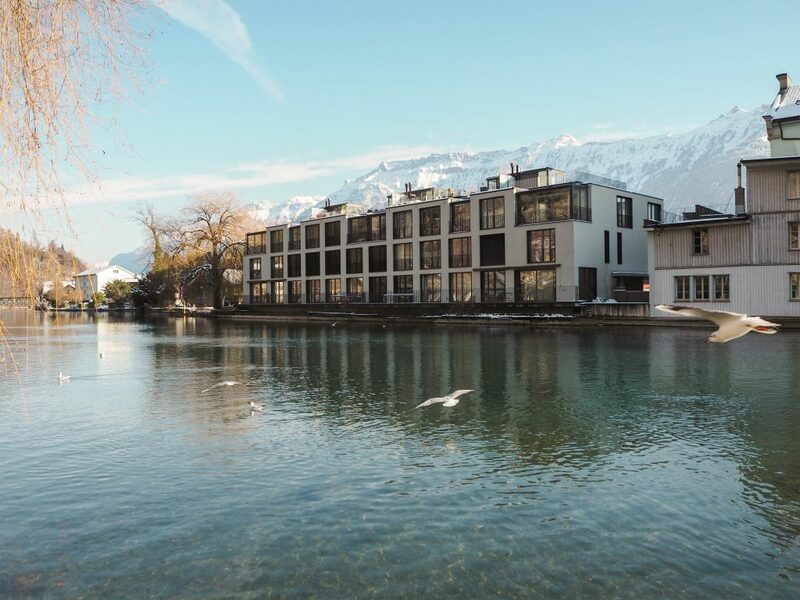 Just as an example, the adventure hub, Interlaken, offers all of the activities listed above during the winter months. And if you are interested in taking sledding to the next level, it’s even possible to go night tobogganing with headlamps and torchlit trails. 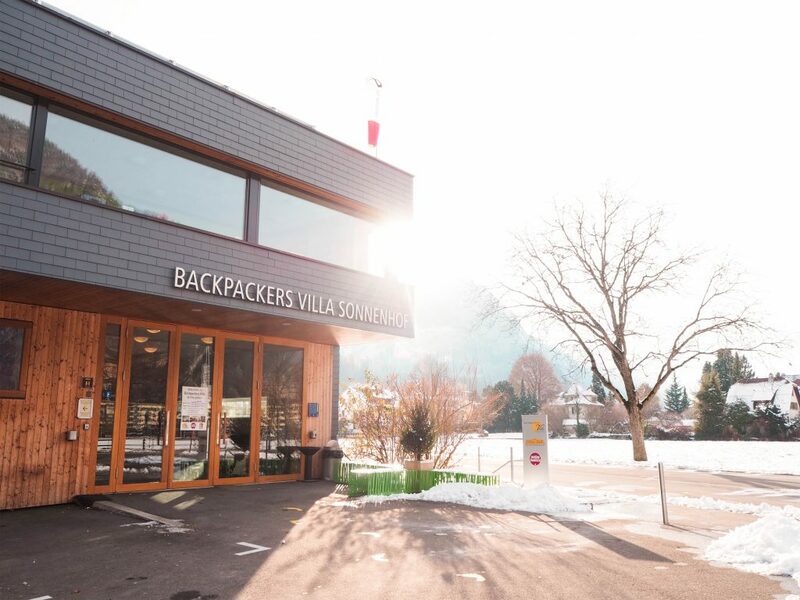 You can find a paragliding landing field right across the street from the Backpackers Villa Sonnenhof hostel (a stone’s throw away from downtown Interlaken). Traditional Swiss dishes and treats go well with chilly weather. Even on the coldest of days, a toasty mug of Swiss hot chocolate or a pot of golden fondue works wonders when it comes to warming you right up. TIP: You don’t have to sacrifice your love of adrenaline-filled activities if you’re also a foodie. Many activities come in packages, such as night tobogganing and fondue. 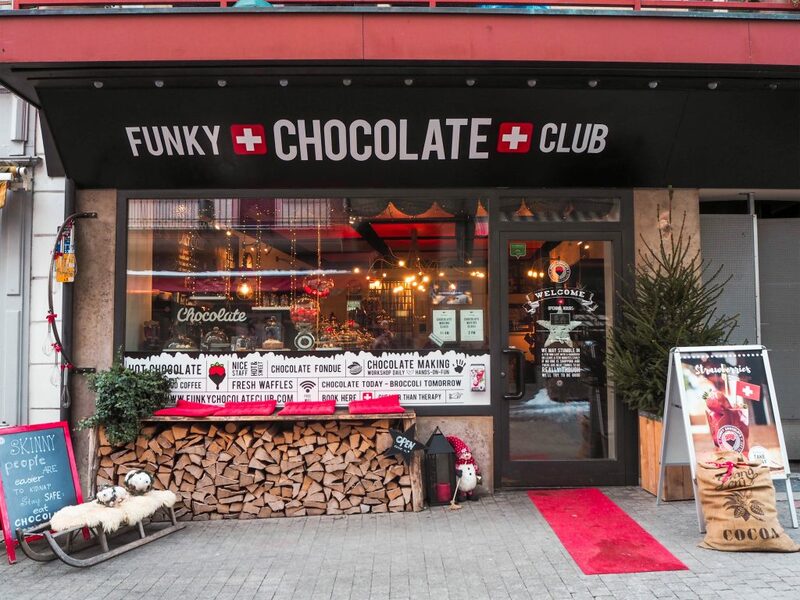 Funky Chocolate Club – one of Interlaken’s most popular chocolate shops. It offers daily chocolate making workshops. Without a doubt, Switzerland is an expensive country to visit. Fortunately, it’s possible to find tons of wintertime deals to make your trip to Switzerland more affordable. For starters, accommodation prices in most major cities tend to be significantly lower in the winter. 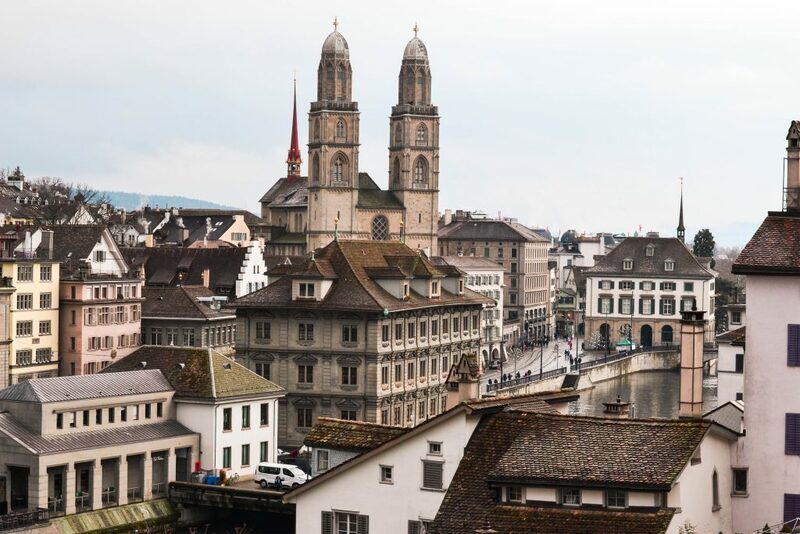 As well, SBB, Switzerland’s National Railway company, frequently works with a variety of ski resorts, museums, city tourism boards, and more to offer significant discounts (I’m talking up to 50% off) on train fares and admission costs. Downtown Thun, Switzerland. 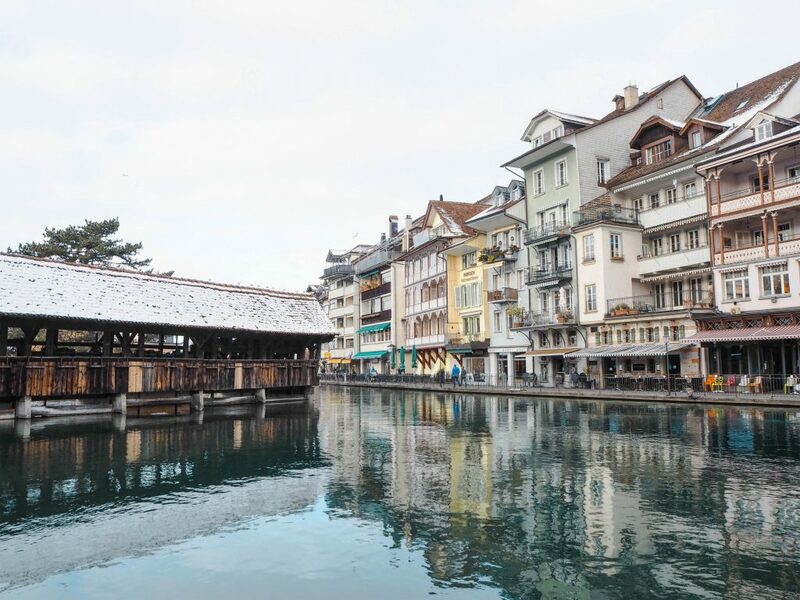 A SBB Standard Fare ticket from Bern to Interlaken gave me the opportunity to hop off in both Thun and Spiez and explore the two towns without having to purchase any additional tickets. To check out current deals offered through SBB, click here. With that being said, to find out how you can get your hands on more affordable train tickets in Switzerland, you can take a look at my SBB train fare hacks post here. I’ve seen snow wreak havoc on transportation systems. Delays, cancellations, trains going out of service, missed connections, getting stranded who knows where – I’ve experienced it all. When it comes to trains in Europe, I’ve seen the good, the bad, and the ugly. And I have nothing but praise for Swiss trains. When visiting Switzerland, practically all of my trains departed and arrived on time. The one exception was one cancellation from Basel to Bern, but I was able to hop onto the next train to Bern 20 minutes later. (Trains between major cities tend to run multiple times per hour). 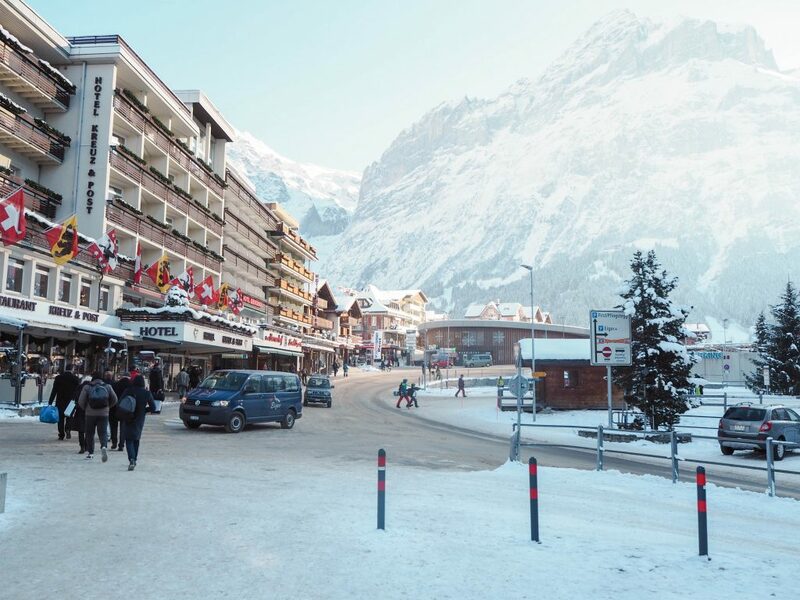 A whole assortment of small Alpine villages also have train stations, so it’s possible to experience the wonders of Grindelwald, Lauterbrunnen, Gimmelwald, and more all year round without any hassle. The view as soon as you exit Grindelwald’s train station. Who doesn’t like thermal baths? Personally, I haven’t run into a person whose eyes didn’t light up with joy at the thought of relaxing in the warmth of heated pools. I’d even venture to say that thermal baths tend to be a whole lot more enjoyable when they’re outside (offering spectacular views) and can warm you right up on the chilliest of days. From panoramic city views at Thermalbad & Spa Zurich’s rooftop pool to mountain sightings at Walliser Alpentherme & Spa in Leukerbad, Switzerland’s thermal baths are ready to impress. Thermalbad & Spa Zurich’s rooftop pool overlooks downtown Zurich. Tip: it’s extra spectacular at night. Just look at those snowy mountains! Need a break from negative temperatures and snow? Believe it or not, you don’t actually have to leave Switzerland. Switzerland’s southern Canton of Ticino borders Italy’s northern province of Lombardy, and average temperatures rarely drop below 0° Celsius in the winter. Sure, Ticino’s December to February temperatures may average around a meagre 3°-4°, but they can get as high as 8°. November and March temperatures can already jump into the double digits. In general, Ticino is a really unique part of Switzerland since the Canton is an amalgamation of Swiss and Italian culture with Italian as its main language. 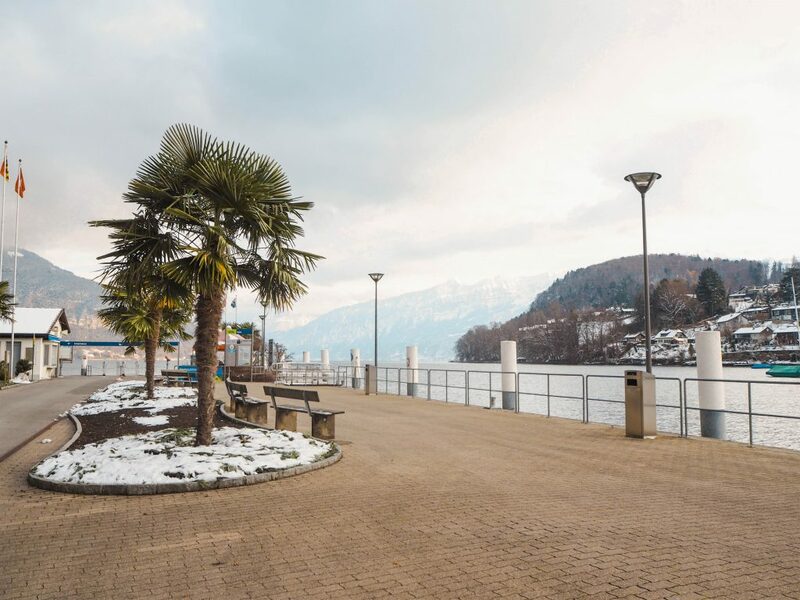 It’s also not uncommon to find palm trees lining the shores of Ticino’s lakes with Alpine peaks filling up the background (HINT HINT: the Canton is GORGEOUS). If you’re not crazy about exploring places in sweltering heat, visiting Ticino in the the winter is a great option. Temperatures easily hit or go above 30° during the summer months. Have you ever visited Switzerland in the winter? Would you like to? Share your thoughts and experiences in the comments section below!